Currently offering hand-lettered envelopes for invitations, place cards, and miscellaneous lettered work for your special day. Make your event special for your guests from the moment they receive your invitations by having the envelopes beautifully hand lettered. In the process, you will save yourself the time and stress of addressing them yourself! 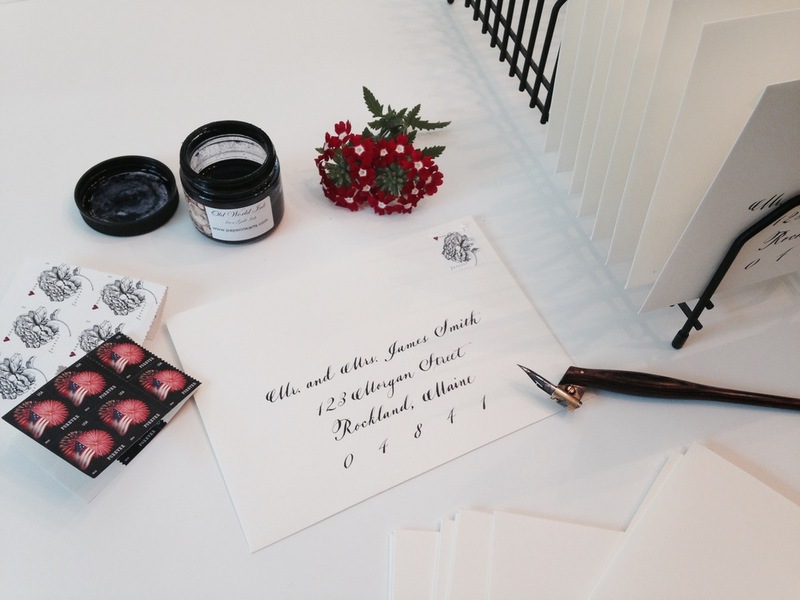 I offer two calligraphy lettering styles for envelopes--formal and modern--as well as different design options. We can work together to select a look that will best fit your event. Check out the examples below! Pricing generally ranges from $2.50 to $3.00 per envelope, depending on the design you choose. Place cards start at $1 each. I am happy to work with you to find the best choices to fit your budget.